Kapiti Island is host to one of the largest accessible island bird sanctuaries in New Zealand, set in one of the nation’s most valuable nature reserves. Kapiti Island Nature Reserve boasts a unique environment populated with birds and wildlife rarely seen on the mainland. Here you can observe an abundance of native birds including Little Spotted Kiwi, Takahe, Kereru and Kaka. Just a two-minute drive to the north is the Southwards Car Museum and Theatre. The Southward Car Museum is the largest of its kind in the Southern Hemisphere. It houses a collection of over 250 vehicles, as well as three aircraft. These popular trips are run by Steam Incorporated, and include amongst others the well-known Napier Art Deco Weekend, the Mangaweka express, and the Grand Circle Rail Cruise. 281 Ngarara Road, Waikanae. Nga Manu Nature Reserve covers over 13 hectares and provides an opportunity to view and have close encounters with a range of native plants, Tuatara, native birds, eels and lizards. A mix of bushwalks, open areas, observation points and aviaries along with a nocturnal house which is home to 2 North Island Brown Kiwi. Located south of Paraparaumu. Main entrance off State Highway 1. With its 650 hectares of easy terrain edged by a sandy beach, Queen Elizabeth Park has plenty of space to enjoy swimming, fishing, walking, cycling, horse riding, picnics or group activities. Bush and hill walks with beautiful views in Whareroa Farm. Kapiti Coast Electric Tramway, Queen Elizabeth Park, Paraparaumu. The tramway runs from McKay’s Crossing in Queen Elizabeth Park, for about two kilometres to the beach. 123 Settlement Road, Te Horo – between Otaki and Waikanae (turn-off on State Highway One). Enjoy the amazing smells and deep purple colours. A heritage lavender collection in an attractive display setting with 330 types of lavender, making high quality lavender oils. 7 Sheffield Street, Paraparaumu. Tasting room and on premises sales. 5 Lorien Court, Paraparaumu. Nyco Chocolates are a well-established chocolate manufacturer. Tours are available which show the chocolate making "secrets" and include chocolate tasting. Chocolate Factory Tours (by appointment), minimum group of 5 people. Entrance just opposite our motel complex. An easy, shady 1.2km bush loop walk with streams and small waterfalls. Just a three-minute drive away is the Coastlands Shopping Centre, with over 80 shops including 2 supermarkets. Coastlands offers a mix of boutique and bulk retail shopping, cinemas, food court and cafes. A quaint seaside village with bar and bistro, boutique cinema, artisan studio and gallery and cafes. A friendly, boutique shopping experience; art galleries, fashion designer boutiques, cafes, restaurants and bars. Over 30 specialty shops, cafes, restaurants and takeaways, Saturday Market, beach boulevard with picnic tables and play area. A small shopping village includes Mahara Gallery, Shoreline Cinema, cafes and shops. Otaki Outlet Stores, State Highway One, Otaki. Considered by many as one of the greatest links courses in the Southern Hemisphere, Paraparaumu Beach Links Golf course is a 9-minute drive to the west. Paraparaumu’s aquatic centre is only 5 minute’s drive to the west. Located on Otaki Gorge Road, south of Otaki River. 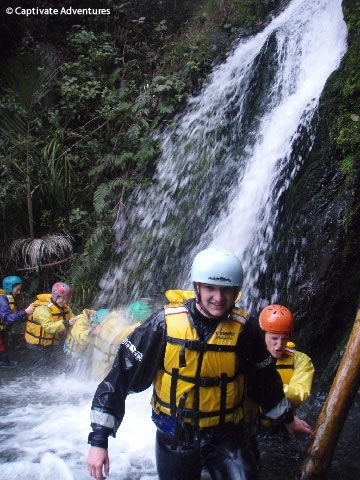 Activities include rafting, kayaking, tubing, abseiling, rock climbing and many others. All adventures take around 3 hours to complete. At the conclusion of your adventure enjoy the use of the swimming pool (summer only), barbecue facilities, and amazing river views. Located in the Maugakotukutuku Valley, south of Paraparaumu. Explore nature’s paradise on a 4-wheel quad bike. Mountain bike guiding from the beach to the back country - mountain bike guiding for all levels. Tours include Queen Elizabeth Park and deep into the Akatarawa Ranges. Located at Kapiti Coast Airport of Kapiti Road, Paraparaumu. Enjoy the excitement of natural flight soaring over the Kapiti district. Mackay’s Crossing, Queen Elizabeth Park, Paraparaumu. Please phone for bookings. A scenic helicopter ride from Kapiti Coast Airport. Please phone for bookings.